RMT, the union for Seafarers and Offshore workers, will take its SOS 2020 campaign for ending employment barriers to more jobs and training for UK seafarers and offshore workers to Aberdeen today, Monday 26 February. In a two-stage demonstration, the union will protest outside the constituency office of Conservative MP for Aberdeen South, Ross Thomson demanding his support for the union’s campaign for enforcement of the National Minimum Wage on commercial vessels working from and between UK ports in the North Sea. The second demonstration, outside Oil & Gas UK’s Aberdeen office will demand that employers in the offshore oil and gas sector work with trade unions to lift existing barriers to employment for offshore workers in Aberdeen, across Scotland and the UK. Over 160,000 jobs have gone on installations and across the supply chain in the UK North Sea since 2014 and increasing taxpayer support for extracting remaining resources and in decommissioning ageing infrastructure must be accompanied by compliance with UK employment law and full trade union recognition. “RMT members, branches and officials are campaigning hard for more jobs and training for seafarers and offshore workers in the UK.
" Our demonstrations in Aberdeen demand a response from the local MP, Ross Thomson to the avoidance of the NMW which Aberdeen-based companies are engaging in through their crewing policies on offshore standby and supply vessels. "Domestic seafarers cannot and should not have to compete with pay below the legal minimum in offshore supply, offshore renewables and decommissioning. “These actions will further the vital aims of the SOS 2020 campaign and RMT’s Offshore Strategy. "We demand that the local Tory MP stop waxing lyrical about tax cuts for oil and gas companies and start addressing the loss of jobs and skills in Aberdeen from the undermining of employment rights in the North Sea.
" RMT members are also taking that message to the Aberdeen office of the industry lobby group, Oil and Gas UK which routinely defends pay and employment practices that would be illegal on land and does nothing to promote trade union rights in the North Sea. Steve Todd will be available for interview. 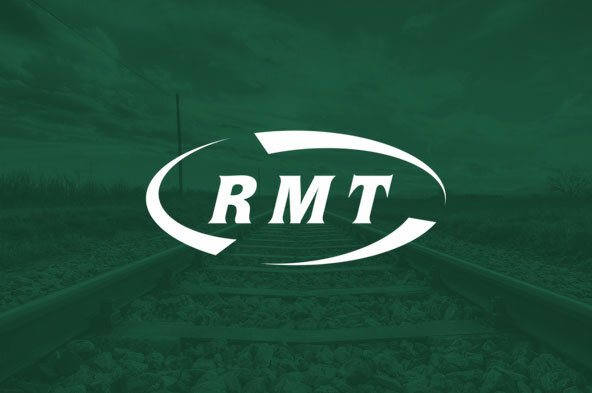 RMT will be demonstrating outside Ross Thomson’s office on Monday 26 February from 11am, 192 Holburn St, Aberdeen AB10 6DA. This will be followed by a demonstration from 1pm at OGUK Head Office, The Exchange 2 62 Market Street AberdeenAB11 5PJ. The Conservative Government (BEIS) issued stand-alone guidance on Seafarers and the National Minimum Wage in January The guidance appears to be using the following definition of internal waters, rather than territorial sea or UK Continental Shelf https://www.gov.uk/government/uploads/system/uploads/attachment_data/file/447200/UK_TS_2015_A4.pdf The previous guidance, to HMRC NMW Enforcement Officers was cut to two lines in July 2016. The January guidance was released ahead of recommendations from an expert working group, including RMT and sister maritime union Nautilus, employers and Government departments which has been looking at improving the application and enforcement of the NMW for all seafarers in the UK shipping industry. The recommendations are expected shortly and an agreement on recommending a change in the law was reached in principle at the final meeting of the Group. Oil & Gas UK’s Economic report from September last year found that 160,000 jobs have gone in the North Sea, including the supply chain since the price of oil fell in 2014. Redundancies, pay cuts and freezes and imposing the 3-week on 3-week off shift pattern on installations have been enforced by a majority of employers in the UK North Sea since 2014, frequently with next to no meaningful consultation with offshore workers or their trade unions.